According to a recent report by Spyglass Consulting, the use of Smartphones and tablets by doctors has now risen to an estimated 96%; yet only ten percent of those physicians are willing to use their own devices to communicate or access the electronic health records of their patients. Furthermore, a lack of support from hospital IT departments negates much of the usefulness of these devices in a healthcare environment. 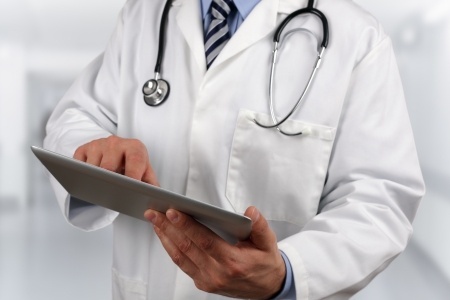 One of the major problems comes from a lack of suitable EMR tools provided by the hospital. Many hospitals and clinics are opting for desktop virtualization tools such as those provided by Citrix, and while in theory these tools should work, in practice the system is despised by physicians because of the frequent crashes and user-unfriendly navigation. There is a lack of investment in IT infrastructure according to Spyglass MD, Gregg Malkary. He believes many hospitals that are not part of Meaningful Use are unwilling to make the necessary investments in mobile technology. Spyglass spoke with 100 doctors up to date with current technology as part of its research for the report. According to Malkary, a third of the hospitals where the doctors worked were not providing IT support for physicians trying to access the hospital’s EMR and the vast majority of physicians expressed their frustration using the EHR to communicate. 70% of physicians believed inadequate investments were being made by their employers to address the area of mobile phone use by physicians. Malkary points out that many hospitals believe their IT departments are functioning well and all of the appropriate systems have been installed to ensure compliance with data privacy and security rules, but the systems are actually failing the physicians and staff who have to use them. Managing devices can be problematic with BOYD schemes and some secure messaging platforms can be troublesome to use or require the majority of a hospital’s physicians to be using the system for it to be effective. When this is not the case, doctors often resort to using consumer text messages, even though the medium is not compliant with HIPAA regulations. The only way for healthcare organizations to take full advantage of the opportunities provided by Smartphones and tablets is to develop solutions on a hospital-wide level, to provide the staff with proper IT support and to compensate physicians for the time spent using the systems. It is also essential that hospitals liaise with the physicians using the system to ensure its effectiveness in practice and to take a more holistic approach to the use of mobile technology in a clinical setting.